In November 2002 the Los Angeles Board of Airport Commissioners officially authorized Flight Path to operate an educational facility and museum in the LAX Imperial Terminal. During the next year, Flight Path refurbished the terminal with major support from Los Angeles World Airports, the City agency which operates LAX. The initial focus of the facility is to celebrate the 75th anniversary of LAX and the 100th anniversary of the first powered flight by the Wright Brothers. Flight Path was founded in 1995 as a nonprofit, community-based organization to honor aviation pioneers, recognize the economic importance of aviation and aerospace to Southern California, and encourage youth to pursue education and careers in aviation-related fields. The kickoff project was a series of sidewalk plaques in the LAX business district saluting aviation pioneers, organizations and locations. This ?Flight Path? is the aviation equivalent of the famed Hollywood Walk of Fame. Flight Path hosts an annual gala fundraising dinner when additional pioneers are honored and youth scholarships presented. 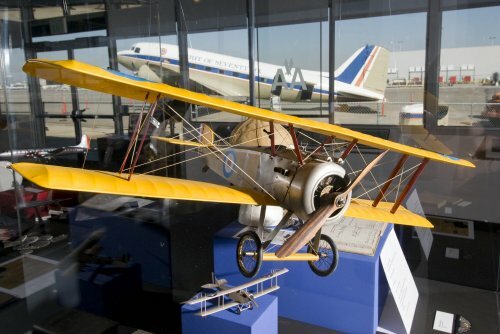 With the opening of the Learning Center, Flight Path now has an opportunity to reach thousands of residents and visitors to Los Angeles with historical exhibits, educational tours and programs, research facilities and community events. The Flight Path exhibits gallery, filled with memories of aviation?s golden years, is adjacent to the LAX airfield, where today?s aircraft and travelers arrive and depart the world?s busiest origin and destination airport.